A woman in Mexico stormed into a wedding to start fighting with the groom, whom she thought was her man. 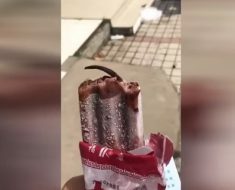 Woman Finds Rat TAIL In Her Ice Cream Bar! Gentrified Jenny Just Wants Some Peace And Quiet!